It’s imperative to guard your children from identity theft risks. They are the prime target because there’s nothing on their credit file yet. So if a fraudster gets your child’s information, it’s easy to set up a bunch of fake credit cards and loans in their name. Seriously, about 1 in 10 kids have their identity stolen each year. This is an alarming statistic and enough reason in-and-of itself to consider paid ID protection. Honorable mention: ProtectMyID (from Experian), they just failed to make the cut due to a recent rash of complaints against them. There have been many reports of the service failing to detect identity theft. The biggest recurring issue with their service is actually the lack of real-time monitoring. 1. IdentityProtect – Effective Protection, with Steep Discounts for Families! This is a CSID-based identity theft protection company. CSID provides identity protection services to both individuals and businesses. They also provide white-label ID protection services to other best identity theft protection companies. IdentityProtect is one of them, and one of the best reviewed ones as well. What Features Does IdentityProtect Include? The amount of the loss protection guarantee varies depending on the plan you get. It’s $10,000 for Standard, $25,000 for Advantage, and $1 million for Ultimate. 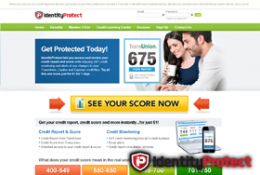 A TransUnion-powered ‘What If’ credit score simulator. Those that have children protected through IdentityProtect will have the security of knowing their child’s credit report is getting watched closely. If any entries show up at all, you will be notified and they will guide you through taking action against the fraud immediately. The thing that makes IdentityProtect especially great for protecting your kid’s identity is the social media site monitoring tool. This is very effective because it catches exposed personal information and security vulnerabilities within your child’s social media accounts. As this is one of the main areas where fraudsters steal data, it’s a huge plus. 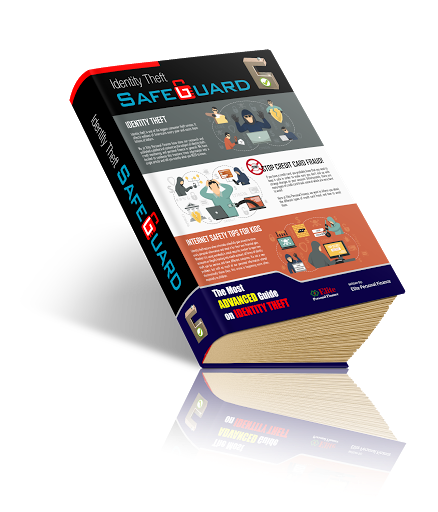 Overall, IdentityProtect has long been reported as a premium grade ID protection company. They offer excellent services for adult members and their children’s protection is just as good. If you’re looking for a full family ID theft protection plan and you don’t want to spend a lot, this is definitely the place you want to be! 2) LifeLock – The Highest Quality Protection on the Planet! For those that want the utmost protection, going with LifeLock is a no-brainer. It’s just difficult to cough up the upwards of $29.99 a month per adult and then another $5.99 per child. This would make a family of four cost over $70 per month for ID protection, which is definitely a lot. But their services are the best around and there’s a noticeable difference between what LifeLock does and what the rest do. If you’re willing to pay the extra it will be worth it in the end. However, it’s understandable if your budget is lower and IdentityProtect and Identity Force are both legitimate options. What Features Does LifeLock Include? This is the most impressive onslaught of child ID theft features you’ll find in any protection plan. It is possible to get nearly the same level of protection from IdentityProtect and Identity Force. But you have to understand that LifeLock is still quite a bit better. And, they cover more potential risks even though they are unlikely to happen in the first place. Really, when you choose LifeLock you are paying for the higher caliber support and alerts system. It is efficient and a lot of what they do is handled in live-time. This is what makes it possible to use the service to thwart off an identity fraud attempt. If you want the utmost affordability for your family’s identity theft protection plan, then Identity Force is a quality choice. Their children’s protection plans run just $2.75 a month, making it one of the most inexpensive options around. And they’re ranked well anyway, so you’re getting quality ID protection for yourself (and your partner) at a low cost. But Identity Force does have a few downfalls. When compared to LifeLock and IdentityProtect, one area it’s definitely inferior is in customer support. You won’t be able to access 24/7 help, which is a big weak point. What Features Does Identity Force Include? $1 million in identity theft insurance. A ‘What If’ credit score simulator. Identity Force has been around since 1978. They have been BBB accredited since 2007 and currently they hold an “A+” rating. There are endless positive Identity Force reviews on the Web, including many on TrustPilot.com and also on the Better Business Bureau website. The great thing is that you get most of the features you would in LifeLock Ultimate Plus if you go with the Identity Force Ultimate plan. 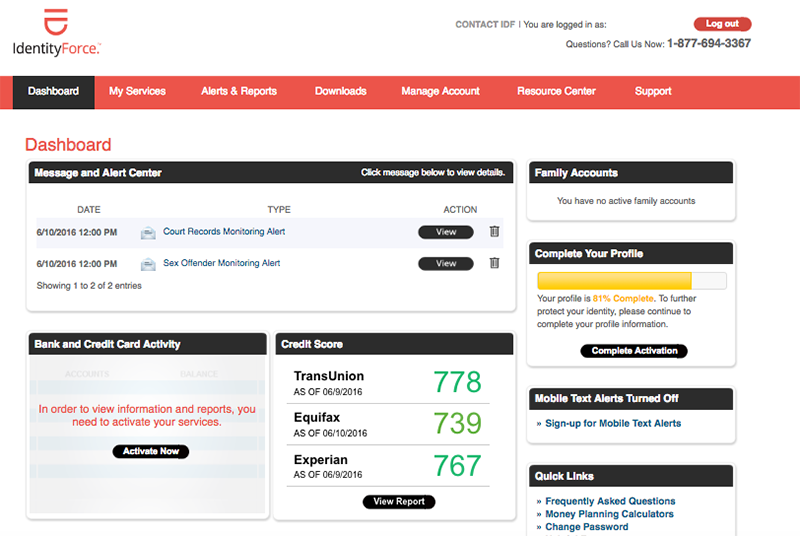 You even get more credit report and score access through Identity Force than you would with LifeLock. However, their credit monitoring features are more limited than what you get with LifeLock Ultimate Plus. In the end, Identity Force has a system that claims to do pretty much the same as what LifeLock already does. In fact, there are some features that Identity Force offers that LifeLock does not, but LifeLock has a more proven record thus far. Betting on Identity Force isn’t a horrible idea, don’t be swayed by what we’re saying here … we just KNOW that LifeLock has quality services, while it APPEARS that Identity Force does too! Aside from that, we will also add some answers to common questions. If you still aren’t sure what the answer is to what you’re trying to figure out, feel free to comment and ask in the comments below. What do you do if your child’s identity gets stolen? First you need to get in touch with each of the three major credit bureaus (Equifax, Experian and TransUnion). You will notify them about the issue and then they will likely request more information. At the same time, you want to get a copy of your child’s credit report from each of the three bureaus to see the extent of the damage. Some things you might need to provide include: your kid’s Social Security card, an official photo ID of your own, a bill or statement showing your address, and your child’s birth certificate naming you as one of their parents. After you do this, file an Identity Theft Report with the FTC. You will also be requesting from the bureaus that they remove all the credit report entries that were not supposed to be on their file. This includes any accounts or debts tied to your child’s name or Social Security number. Next, it’s important to place an extended (7-year) fraud alert on your child’s credit report. This will let creditors know that your child was a victim of identity theft before. So if a re-attack is ever attempted, it’s less likely to cause anyone any damage. How can you further prevent your kid from getting victimized? The single-most effective way to prevent identity theft, whether you’re a child or an adult, is to place a security freeze on your credit report. This will prevent new lenders and credit card issuers from making a hard inquiry on your file. They need the bureau’s permission (which you must authorize on behalf of your child) in order to view your creditworthiness. Therefore, a fraudster won’t be able to open a new account under your child’s name. Placing a credit freeze is a cost-efficient way to put an end to most identity theft risks. But the laws for these freezes do vary by state, as do the costs. You can check out our page on ‘the Credit Freeze Laws, State-by-State’ to find out what applies for where you live. How Often Do Minors Become Identity Theft Victims? Roughly 1 in 10 children become the victim of identity theft before they turn legal age. This is an alarming number and the rate is only growing by the year. A big reason for this is all the new ways for information to be gathered; the Internet in particular makes it easy to obtain personal data about minors for the purpose of identity theft. This statistic is also so high because no one really thinks about their kid having their identity stolen. But it happens all the time as a way to open fraudulent credit cards and to take out fake loans. Sometimes a child’s identity is stolen by someone who knows the child, such as a parent or other relative. A situation like this usually happens when the individual cannot open a utility or service in their own name, so they use the child’s credentials (and effectively steal their identity) as a workaround. How Can Identity Theft Protection Help? The most useful component of ID protection is the real-time monitoring it offers. Now keep in mind that some companies do not actually give you real-time protection. Experian’s ProtectMyID is one of them. That’s why we recommend one of the top three providers listed in this post. You definitely want to go with either IdentityProtect, LifeLock or Identity Force to keep your family safe.